Marquees don’t always have to be associated with weddings, although they do make ideal places to hold a wedding reception or ceremony. Hiring a marquee can work for a plethora of events including: Christmas/birthday parties, Easter ball, proms, conferences, award ceremonies, seminars, cake sales and many more. 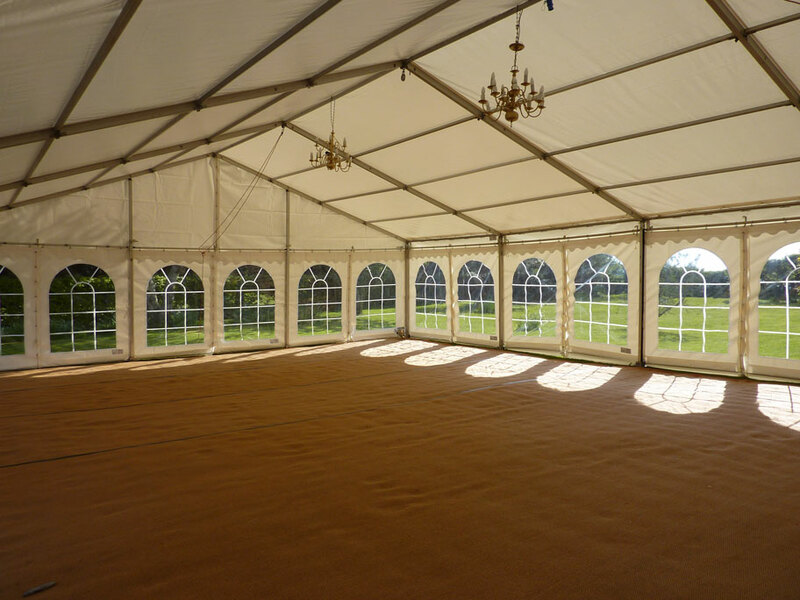 Marquees can be irregular sizes and shapes making sure even the most difficult space can be accommodated. Not only can you decide upon the size of your marquee, you can also choose its location. Whether it be your back garden, a car park or the grounds of a manor house, as long as there is a nice flat surface then your pop up venue is ready to go! With guest restrictions in place at some static venues, having a marquee allows you to cater for as many guests as you need at any one time. In comparison to hiring a hotel/restaurant for your event, especially for large numbers, a marquee can prove very cost effective. Indulge your creative side and designer instincts when it comes to decorating the blank canvass that is your marquee. Turn your event into something spectacular with solid flooring (including a dance area) as well heating, atmospheric lighting and your choice of furnishings. The sky is the limit as to what your marquee can be turned into. A magical winter wonderland could await your guests, making it perfect for a Christmas party or winter wedding. Deck your marquee in flowers and don your chairs and tables in springtime regalia or make it wall to wall in your chosen theme: a good imagination is all you need. Another bonus of hiring a marquee over a hotel or restaurant is that you can choose your own chef or have the food provided by your own caterers. If the budget is tight, perhaps consider preparing the food yourself. OK, so some venues do allow you to do this, we’re not denying that; however many do insist that the in house chef or catering team are used no matter what the event. As well as having your bespoke event shaping up nicely, another advantage of hiring a marquee is that everyone inside is your invited guest. There are no other parties running along side and no confusion, as to which event is which. Privacy is a great advantage, especially if your event/conference or seminar happens to be of a sensitive or confidential nature. Something you may not have thought of when thinking about reasons to hire a marquee is storage or office space. If you’re planning to move offices and need somewhere for staff to work while the new premises is being kitted out, hiring a marquee can provide temporary accommodation for your workforce, regardless of size. Using a marquee as a warehouse or storage facility is another great way of making this versatile structure work for you. Often thought of as grand, marquees don’t have to be big. In our unpredictable UK weather, they can be the perfect shelter for a summer barbeque or intimate gathering. They are also great for use at school fetes and country fares. Contact Camelot Marquees Ltd to discuss your marquee needs.